To read a complete list of Carbonell recipients and breakdowns by county, show and company click here. Slow Burn’s infectious tale of a white disk jockey who championed R&B in the segregated South marks the first time that the Broward County company had won the top musical honor in its nine-year history – and the first time in eight years that a Broward County theater has taken home the prize. Dramas at Theatre Lab in Boca Raton, the three-old professional resident company of Florida Atlantic University that specializes in new work, produced the company’s first Carbonells: Dawn C. Shamburger, Best Costume Design for the period work in The Revolutionists including a stunning gown for Marie Antoinette; and Niki Fridh, Best Supporting Actress, Play, as a burned-out mother who has given up hope in Tar Beach. Fridh won the Best Actress, Play award last year for Grounded at Thinking Cap Theatre. Work in 2018 at Miami New Drama, which concentrates on challenging stylistic works reflecting the region’s multi-cultural vibe, produced its first awards: Betsy Graver as the pampered one-percenter won Best Actress, Play for Queen of Basel, a modern Miami riff on Strindberg’s Miss Julie; and the twin brothers Christopher and Justin Swader won Best Scenic Design for the Liberty City motel set on the night after Muhammad Ali’s 1964 victory in One Night in Miami. But the most high profile sweep was for Dramaworks with five awards for Indecent, a time-spanning tale about intolerance, immigration, assimilation, artistic censorship and especially love in many variations. In addition to Best Play, the work directed by J. Barry Lewis resulted in awards for Best Ensemble, Jay Russell won Best Supporting Actor as the nebbishy stage manager and narrator; Paul Black for unusually nimble and atmospheric lighting, and Brad Pawlak for sound. Indecent, originally meant to be a double production with GableStage, which opened its own acclaimed production later, is listed in the Carbonell categories as a play. But the imagistic time-bending tale of a Jewish troupe taking a controversial play around the world was so infused with music and movement that its nominations has included musical direction and choreography. While the acclaimed Dramaworks has won several previous Carbonells, this marks the first time in seven years that it has scored one of the top awards. 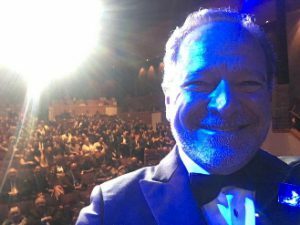 The record setting milestones were a highlight of the ceremony at the Broward Center for the Performing Arts, recognizing excellence in South Florida theaters, similar to the Joseph Jeffersons in Chicago or the Helen Hayes in Washington D.C. The rising quality of work in the region could be seen in the acclaim for nominees who did not take home awards. Indeed, three of the often honored powerhouse theaters did not receive any of the egg-shaped statues: GableStage, which had eight nominations, Actors’ Playhouse on the Miracle Mile with 11 nominations and the Maltz Jupiter Theatre with 6 nominations this year. Another surprise was that Havana Music Hall, the Broadway hopeful world premiere musical at Actors’ Playhouse about life in Cuba before the Revolution and today, had seven nominations but no wins. The reliable consistency of quality of some South Florida companies’ work was underscored just in the nominations. 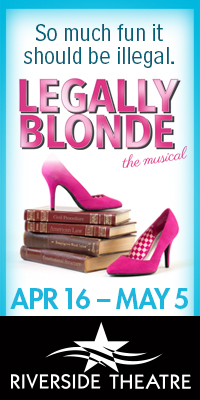 Virtually every production during the year from Slow Burn Theatre Company, Zoetic Stage in Miami and Palm Beach Dramaworks in West Palm Beach resulted in at least one nomination. Zoetic had another strong showing, host to the winners of four awards. Company co-founder Christopher Demos-Brown, who made his Broadway debut last November with his play American Son, won the Best New Work category for his wicked satire of his own legal profession, Wrongful Deaths and Other Circus Acts, which also garnered the Best Director, Play award for Stuart Meltzer. Caleb Scott won Best Actor, Play, for his autistic neighbor in Dancing Lessons; and Jeni Hacker won Best Supporting Actress, Musical, for the wife of a troubled closeted husband in Fun Home. In addition to Best Musical, Memphis won two other awards: Best Choreography for co-founder and director Patrick Fitzwater (who gave 98.9 percent credit to his dancers ) and Best Actor, Musical for Brian Golub’s ebullient hero. 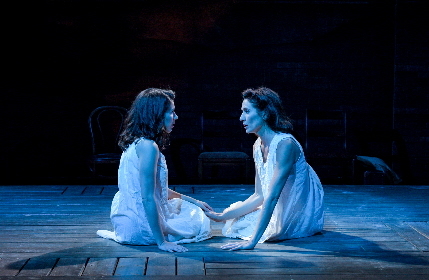 The company’s other Carbonell went to Anna Lise Jensen for Best Actress, Musical for her bravura performance as the immigrant farm wife having an affair in The Bridges of Madison County. 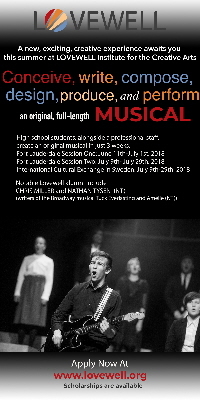 Dramaworks’ summer musical, Woody Guthrie’s American Song, also scored the Best Director nod for Bruce Linser and Best Musical Direction for Sean Powell. The evening opened with a musical tribute to pillars of local theater who died late last year: actress-director-producer-author-teacher-dancer –interviewer Iris Acker, and playwright-philanthropist Tony Finstrom, both of whom were Carbonell judges and co-founders of the Silver Palm Awards. The medley was performed by Jonathan Eisele, Michael Focas, Julie Kleiner Davis, Brian Reiff, Emily Tarallo and Laura Turnbull. Videos that included interviews with directors and montages of production photos showed scenes from all the works nominated for Best Play: Equus, Indecent, Queen of Basel, White Guy on the Bus, Wrongful Death and Other Circus Acts. Musical numbers were presented from all the nominated work. Jensen performed “To Build A Home,” the impassioned opening number from Slow Burn’s The Bridges of Madison County; Kimmi Johnson and Hacker performed a medley of “Changing My Major” and “Days” from Zoetic’s Fun Home; Brian Golub, Khadijah Rolle and cast members performed numbers from Slow Burn’s Memphis; “ Barry J. Tarallo and Jensen performed “On Raglan Road” from Actors’ Playhouse’s Once; Cat Greenfield, Tom Lubben and Julie Rowe performed the moving Deportee” from Dramworks’ Woody Guthrie’s American Song. The evening was produced and directed for a second year by Kevin Black, the producer-director-choreographer and creator of several musical revues, and associate producer Matt May. The musical numbers were accompanied by a band led by Caryl Fantel in piano with Rupert Ziawinski on bass and Roy Fantel on percussion. The Carbonell Awards is a not-for-profit organization and is funded by tax-deductible donations and award sponsorships. Sponsors this year were the Actors’ Equity Association, Adrienne Arsht Center for the Performing Arts of Miami-Dade County, Bee Free Media, Broward Center for the Performing Arts, Broward Cultural Division, Carbonell Family, Rita and Jerome Cohen, Cultural Council of Palm Beach County, CultureForce, Knight Foundation, Kravis Center for the Performing Arts, Miami-Dade County Auditorium, South Florida Cultural Consortium, South Florida Theatre League, South Miami-Dade Cultural Arts Center, Mark Traverso, WLRN Public Media, WTVJ-NBC and WOW MKTG. A highlight of the evening was the presentation of three special awards recognizing the contributions of individuals and companies who have enriched the South Florida scene. The loudest and most sustained applause greeted Michael McKeever, playwright-actor-scenic designer and co-founder of Zoetic Stage, receiving the George Abbot Award, named for the legendary director and considered the most prestigious honor in the region. One of the most popular figures in the community among theater professional and patrons, the co-founder of Zoetic Stage has lifted the profile of the region with productions of some of his 30 plays around the world, but prominently in the past year with Off-Broadway productions of two works that originated in Florida: Daniel’s Husband, which ran last fall at the Westside Theatre, and After, currently running at 59E59. McKeever has won numerous Carbonell and Silver Palm Awards, and has received three Florida Individual Artist Fellowships. His work has been nominated four times for the Steinberg/American Theatre Critics New Play Award. He is a three-time finalist for Humana Festival’s Heideman Award, and an NEA Residency Grant recipient. He teaches playwriting seminars at Florida colleges. 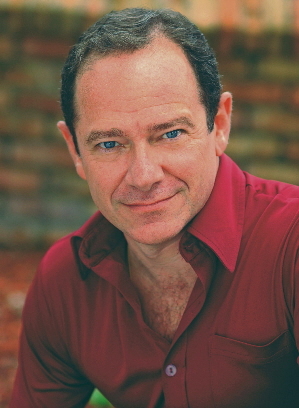 As an actor, McKeever received the Carbonell for Best Actor in a Play for Dan Clancy’s The Timekeepers at Island City Stage in Wilton Manors. To see the video tribute played at the ceremony click here. With his 92-year-old mother in the audience, McKeever took a selfie of himself with the entire audience behind him cheering. He said that when he works in New York, people ask why he stays here. He said he would show that selfie to them — emblematic of the supportive and talented community he is part of. Jennifer Sierra-Grobbelaar, who has promoted Florida theater through marketing, public relations, producing and creating her own show, received the Charlie Cinnamon Award. It honors an individual who not only contributes significantly to support of the arts, but also for service to the Carbonell organization. It was named for legendary press agent who passed away in 2016. Currently the director of marketing for Broward Center for the Performing Arts, Sierra-Grobbelaar spent 10 years as the marketing and media relations director for Cirque Dreams. 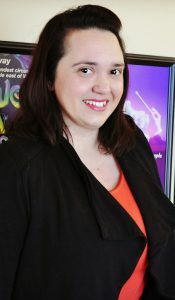 Her theatrical administration career includes working for Broadway Across America in various capacities including national subscription ticketing manager, Parker Playhouse venue operations manager; education liaison with Florida Theatrical Association, and public relations and marketing operations director for events throughout the state. She was an associate producer of Cirque Dreams Broadway, commemorating the Broward Center’s 20th anniversary, and WE…The Passion and Rhythm of the People, the culminating event of Broward 100’s Duende Centennial Celebration. With her friend Matt May, Sierra-Grobbelaar co-created and co-produced Diego & Drew Say I Do in 2016 and received a Silver Palm Award for Outstanding Interactive Theatrical Experience. Together in 2017, they co-produced the 10th Anniversary Celebration of the Silver Palm Awards. She received a Remy Award in 2016 from the Theatre League of South Florida for service to the arts community. She has been a Carbonell panelist, part of its public relations committee and handled its social media and website. She also served on the board of directors of the South Florida Theatre League, handled their social media for several years, and is currently part of the League’s advisory board. Juggernaut Theatre Company is the recipient of the Ruth Foreman Award in recognition of Miami Motel Stories, an innovative immersive theater experience that depicts Miami’s past. Established in 2000, the honor named after pioneering director and producer recognizes contributions to theater development by an individual or group, for singular achievement and/or career contributions. 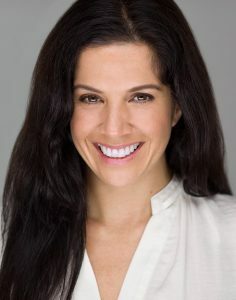 Juggernaut was founded in 1998 by Tanya Bravo, the current executive artistic director, making a mark with cutting edge and stylistic works from local and national playwrights. Bravo herself has produced more than 50 shows, and has collaborated with the HBO International Latino Festival, the Latin Grammys, Heineken USA, Chivas Regal, the Leah Arts District, MySpace, Remezcla and the South Beach Comedy Festival. Juggernaut launched Miami Motel Stories in 2017, a series of short staged plays occurring simultaneously in developing neighborhoods, inside selected buildings, to tell the story of Miami’s past, present, and future. Bravo gave significant credit to playwright Juan C. Sanchez who wrote the past two editions and is at work in the next one set in Wynwood. The Carbonells did not give out the Howard Kleinberg Award given as special recognition for contributions to the health and development of the arts. This the fourth year in a row that it did not bestow the Bill Hindman Award for significant, long-term contributions to the region’s cultural life and onstage career achievement, by performing artists based in South Florida, nor the Bill von Maurer Award given to the theater company that exemplifies excellence for the totality of its programming: productions, educational outreach, developmental programs and audiences served. The Carbonell organization uses proceeds from the ceremony and other fund-raising to provide scholarships to graduating high school seniors who plan to pursue a degree in theater or journalism. In 1978, the first $500 scholarship was awarded, and more than $100,000 in scholarships have been awarded since. It was renamed the Jack Zink Memorial Carbonell Scholarships in honor of the late Sun-Sentinel critic who co-founded and led the Carbonells until his death. Each year, three candidates are selected through a competitive, merit-based process with one student selected from each county in the region. Julia Dale, who attends Western High School in Broward County, will receive a $3,000 scholarship. Local audiences will remember several of her professional performances ranging from Ragtime to The Bridges of Madison County, and as the murderous child actor in the hilarious musical Ruthless! at Actors’ Playhouse, for which she received a Carbonell nomination. 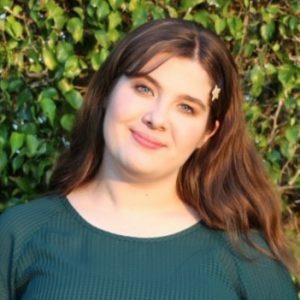 Bailey Hacker, a senior at New World School of the Arts in Miami-Dade County, will receive a $2,000 scholarship to pursue further education in acting and directing. The daughter of well-known local actress Jeni Hacker told the Carbonell committee that she saw in each of her mother’s casts that everyone told the funniest jokes, had the kindest smiles and became a family. Bailey plans to study acting in college and plans to have a career in both acting and directing. 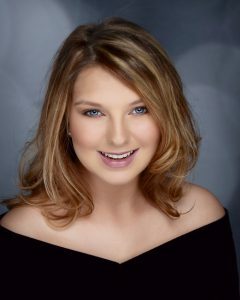 Maura Wilson, a senior at Alexander W. Dreyfoos Jr. School of the Arts in Palm Beach County, will receive a $1,000 scholarship to pursue her studies in lighting design. Maura has worked in lighting, set, and sound design for multiple shows. Maura worked with the Theatre for Young Audiences and Sensory Friendly program for Curious Incident of the Dog in the Night-Time. She designed the set for the Maltz Jupiter Theatre Youth Artists’ Chair production of To Kill a Mockingbird. The awards were presented by Kimmi Johnson, who received a Carbonell scholarship during her senior year in high school and a nominee this season as Best Supporting Actress in a Musical. The awards were created in 1976 by the South Florida Entertainment Writers’ Association, Inc. (later called the South Florida Critics Circle) led by Jack Zink of the Sun Sentinel and Bill von Maurer of the Miami News. The First Annual Theatre Circle Awards held its ceremony November 15, 1976, drawing about 175 people to the Diplomat Hotel Regency Ballroom. The plays and musical categories were combined and any Equity production was eligible including national tours and road shows. In fact, all of the nominees that first year were connected to producer Zev Buffman’s touring productions with winners including Angela Lansbury in Mame at the Parker Playhouse. Numerous changes occurred over time: A “musical variety” category was added, then dropped. Plays and musicals were put in separate categories, the Equity requirement was dropped, national tours were put in a separate category and eventually dropped all tougher. In 1978, the program was renamed, retroactively, the Carbonell Awards in recognition of Manuel Carbonell, the Cuban-born Miami-based sculptor who donated the bronze gold- colored scooped-out eggs to every winner. Other than one year, his family has continued the practice. A major change occurred in September 2002 when the critics stepped away as the corporate heads of the Carbonells. Critics continued to be involved as judges and administrators, but control of the non-profit corporation was ceded to a board of directors comprising theater champions in the community, representatives of cultural agencies in all three counties and from all three major presenting houses. The reason was that the effort had grown too large to be staffed by volunteers and the number of critics had already begun to shrink to a smaller pool. Zink continued as executive director and administrator until his death in 2008. Local producer Jay Harris had been donating heavily, but now the program sought out corporate and private donors. The awards have not been without controversy. The highest-profile furor occurred in November 2008 when the board contemplated not holding the 2009 ceremony. 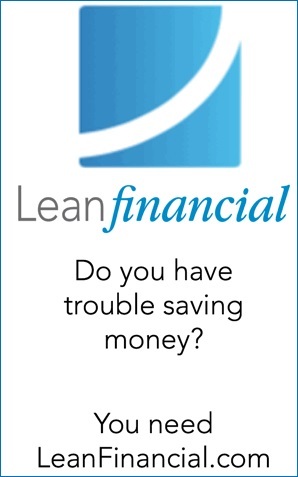 The reasons given were the high price of gasoline, Zink’s death, the declining number of critics and a falloff in donations due to the recession. The decision was reversed after an outcry from the theatrical community. The tenor of the ceremony has changed as well. For several years, the emcee was a national celebrity and the event attracted bold-face names. The board has also discussed for decades how to bring more theater patrons and devotees to the ceremony. But in recent years, the local theatrical community has pressed for the evening to be an insider’s celebration of local theater. The awards have a decidedly mixed relationship with the theater community. Many revere the honor. It’s cited in resumes and playbill bios when recipients move out of the region, even when they work on Broadway. The theater companies frequently list their nominations and wins in news releases, promotional materials and grant applications. The Maltz Jupiter Theatre displays its statuettes in a glass case in the lobby. But some resent the awards for making artists competitive, some question the validity of comparing wildly different productions in the same category, and some believe the selection reflects prejudices, grudges and hidebound mainstream attitudes of nominators and judges. Some questions are raised about a potential conflict of interest because at least four houses represented on the board are fiscal co-producers of shows in competition. But board members do not vote on nominations and recipients, only on policies, qualifications and procedures. While established and well-funded theaters like Actors’ Playhouse, GableStage and the Maltz tend to do well, the Carbonells have also been a boost to small fledgling companies that have later developed into significant forces such as Slow Burn Theatre Company and Island City Stage. The recommendation panelists, who decided which of 73 eligible shows were seen by the judges, included: Al Alschuler, Kay Brady, Thomas J. Bruckner, Nancy Doyle Cohen, Sean Cutler, Mark Demeter, Alvin Entin, Janet Erlick, Matthew Glass, Robert Holtzman, Donna Horkey, David Jobin, Lawrence Jurist, Jill Kratish, Lynn Kobrin, Myrna Loman, Matt May, Teri Solomon Mitze, Ileana Oroza, Karen Poindexter, Tom Regnier, Jennifer Sierra-Grobbelaar, John Chase Soliday, Joyce Sweeney, Terrie Temkin, Tony Walsh, Pauline Winick and Michael Yawney. The judging panel, whose members spend about 400 hours a year seeing shows, included Mary Damiano, editor, critic, administrative assistant at Florida Children’s Theatre and the Carbonell’s managing director; Christine Dolen, veteran theater critic for The Miami Herald and now Artsburst.com; Cheryl Dunn Bychek, an actress and former public relations and marketing expert; Hap Erstein, longtime critic for several Palm Beach area outlets; the late Tony Finstrom, playwright and arts supporter; Bill Hirschman, founder, editor, and chief critic of Florida Theater On Stage; Mark Keller; Paul Levine, columnist for Around Town newspaper and president of Famous Faces Entertainment and Special Events Company; Michael Peyton, creator of Cultural Connection; John Thomason, critic and editor; Betsy Weisman, accounting manager of the Broward Performing Arts Foundation, Inc.; educator and former actress Andrea O’Connell; R. Kent Chambers-Wilson, who has been an assistant director, stage manager, sound designer/technician, dramaturg, script doctor, actor and theater reviewer. Finstrom was seeing shows almost up to the time of his death last year. The current Carbonell Board of Directors includes its president, Jody Leshinsky, Cultural Executive Director, Bailey Contemporary Arts & Historic Ali Cultural Arts, Pompano Beach; Donald R. Walters, Esq., attorney; Ricardo J. Gonzalez III, Director, Beaux Arts Gallery, representing the Manuel Carbonell family; Leslie Fordham, Public Art & Design Administrator, Broward Cultural Division – Fort Lauderdale; Jennifer Sullivan, Director of Marketing, Cultural Council of Palm Beach County; Javier Siut, Assistant Theater Director Miami-Dade County Auditorium, Jan Goodheart, Vice President of External Affairs, Broward Center for the Performing Arts; Linda Birdsey, Marketing Director, Raymond F. Kravis Center for the Performing Arts, Jeff Kiltie, general manager, Aventura Arts & Cultural Center; Gary Schweikhart, founder and president, Public Relations by Schweikhart, and Joanne Matsuura Benkö, Marketing Director, Adrienne Arsht Center for the Performing Arts.